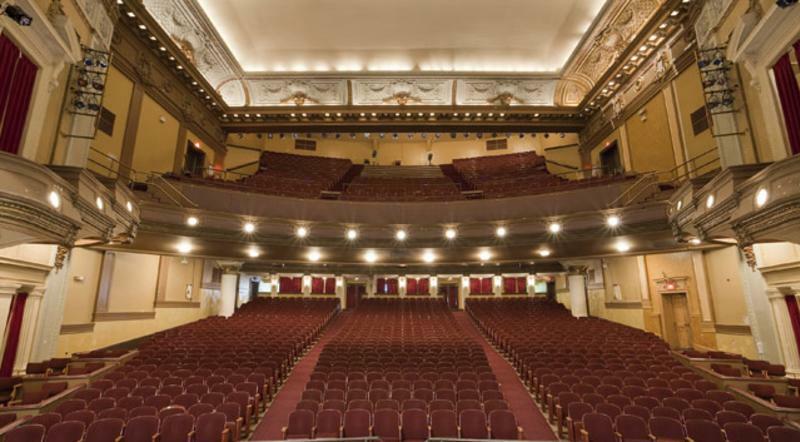 Architectural highlights: Modelled after the Metropolitan Opera House in New York, the Pantages has a ‘diamond horseshoe’—visible seating in front of the first balcony where wealthy Winnipeg women would sit and show off their jewels. 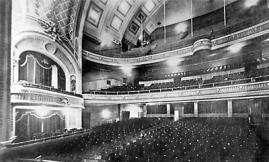 A sign of the times: The Pantages Theatre was busiest during the heights of vaudeville. 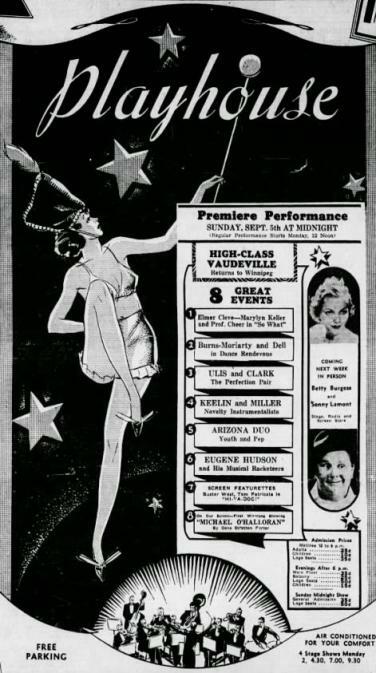 Ticket prices to a show were 10¢ and 35¢ with 3 shows a day, 7 days a week. 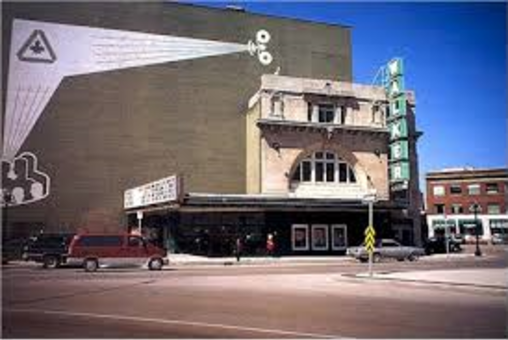 Claim to fame: Winnipeg was known as a very discerning audience, and based on how well an act was received in Winnipeg determined if it headed West to other theatres in the Pantages franchise. 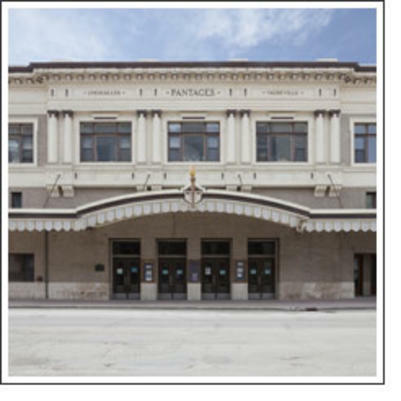 Architectural highlight: Winnipeg’s oldest theatre, The Walker had a large backstage area that set it apart from other vaudeville theatres. As such, it attracted more sophisticated performing arts like ballets, operas and Shakespearean plays that needed the space for elaborate sets and many performers. 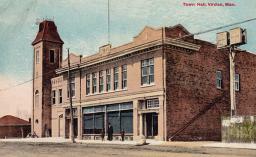 A sign of the times: It is believed to have cost owner Corliss Powers Walker $185,000 to build the theatre. Claim to fame: The Walker was also known to host non-threatre events, such as a 1918 political meeting which lead to the infamous Winnipeg General Strike of 1919. 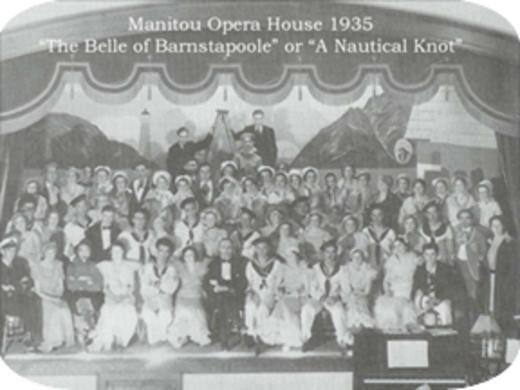 Architectural highlight: The stage at the Aud featured a massive proscenium arch and large curtain made of Russian silk with an exotic hand-painted Mediterranean shipping scene. 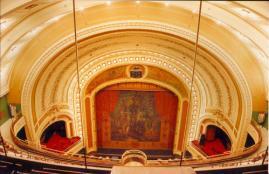 The theatre was built in the same complex as municipal offices and courtroom, making this building one of a kind. A sign of the times: The inaugural performance was a comedy titled The Misogynist performed by the amateur Virden Dramatic Society on February 29, 1912. It was a packed house, indicative of how topics like gender equality would’ve been considered a novel idea. 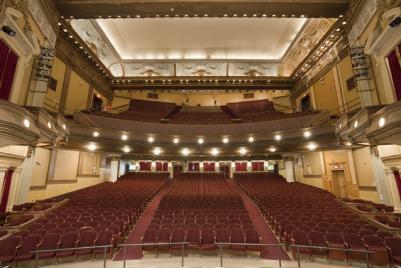 Claim to fame: With a seating capacity of 500, outstanding acoustics and Neo-classical style, The Aud is recognized as one of the best concert halls of its size in Western Canada. That’s quite the feather in the cap for a town of 3,000 residents that is situated far from any large city. Architectural highlight: Influenced by the arts-and-crafts movement, the design of the Manitou Opera House is very traditional in its craftsmanship. The exterior is simple wood siding and the interior is void of the ornate features of other design eras. A sign of the times: A vintage poster on the website advertises for a town dance. Proceeds raised were used to send milk to babies in Britain during WWII. Claim to fame: A commemorative bust of Canada’s preeminent suffragist Nellie McClung greets visitors at the entrance of the opera house. MClung lived in area from 1890-1911, and undoubtedly held a few meetings at the original structure (which was destroyed by fire in 1930). Architectural highlight: The modest-yet-elegant steeple of the Gimli Unitarian Church is a landmark in this lakeside town famous for its Icelandic heritage. Patrons take comfort (okay, maybe not) in watching a play from wooden pews. A sign of the times: Once the ‘mother church’ of the Unitarian movement in Western Canada, the building is now only used for Sunday services during the summer. 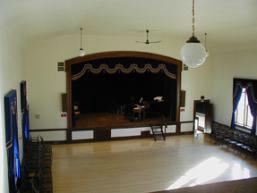 The church has found new purpose serving as home to the A-Spire Players’ theatre troupe, and as a venue for indie films during the popular Gimli Film Festival. Claim to fame: The A-Spire Players’ has tackled notable productions ranging from Canadian playwrights like Daniel MacIvor to British dramatists like Noel Coward and Oscar Wilde. 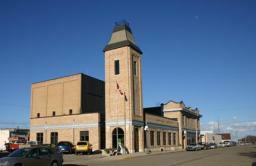 To the many community theatre companies in rural Manitoba : we salute you! Thank you for putting on productions as a way to build community and attract visitors to your town. 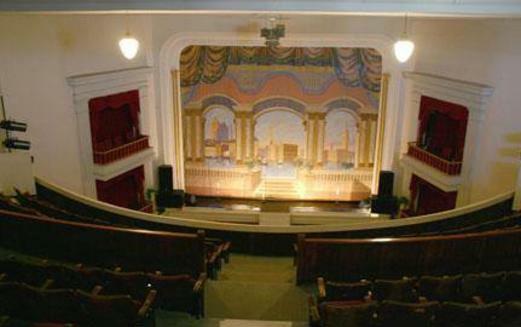 Share with us your most memorable community theatre experience in Manitoba. Was it at The Vagabond Theatre in Binscarth? 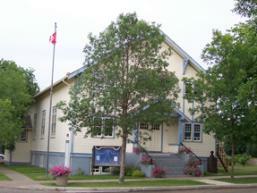 Or how about experiencing the open-air Manitoba Passion Play near LaRiviere?